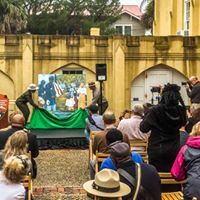 "Capturing the beauty, spirituality and purest representations of the Gullah Sea Islands and of African American culture." Write down your dreams, goals, ideas, daily life, and words of wisdom!! ​American Gullah © ​2016 All rights reserved. The American Gullah Collection effectively communicates the Gullah culture and Lowcountry living with its viewers. Each piece lures viewers into the paintings and leaves them with a desire to learn more about this captivating Pan African American cultural treasure. Sonja Griffin Evans' American Gullah Collection reflects compassion and redeeming love. It gives a visual example of one's humanity. It immortalizes the divinity, an expression of the soul. It brings to life, through art, the Gullah story; while instilling in the viewer's heart a yearning to visit the amazingly beautiful, historical and spiritual destinations which encompasses the Gullah culture.' Learn more. "It's okay to be naturally you!" The Reconstruction era, 1861-1898 the historic period in which the United States grappled with the question of how to integrate millions of newly freed African Americans into social, political,economic, and labor systems, was a time of significant transformation. The people, places, and events in Beaufort County, South Carolina, reflect on the most important issues of this tumultuous time period. Where Can You Find My Artwork?